The Manchester rapper was given permission by Noel Gallagher to use Wonderwall lyrics in his Memory Lane track. A grime star has borrowed the lyrics from classic Oasis track, Wonderwall, for his Memory Lane video. Bugzy Malone references the song from his fellow Mancunians in more ways than one, using lyrics from the band's 1995 anthem- with Noel Gallagher's blessing. Watch our clip to see Bugzy Malone use their famous lyrics above. In the clip, the rapper - whose real name is Aaron Davis - sings: "Today is gonna be the day that they're gonna throw it back to you/By now you should've somehow realised what you're not to do/I don't believe that anybody/ I don't believe that anybody feels the way I do about you now". See his full video for Memory Lane, which features Tom Grennan and is taken from his King Of The North EP. 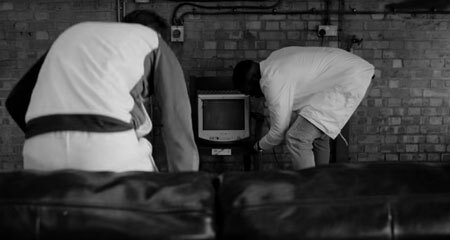 That's not the only nod the MC makes to the original, either, also paying homage by sitting in warehouse and in black and white, and starting the video by turning on a TV set.